Workers in Greater Cleveland enjoy easier commutes than residents in other metro areas. Drivers in the Chicago area, for example, face 22.8 hours of additional traffic delays each year compared with Greater Cleveland drivers. However, whether you are commuting to downtown or stuck on Interstate 90, some Cleveland drivers face worse commutes than others. Along with time spent behind the wheel, Greater Cleveland traffic costs drivers in other significant ways — namely gas and higher Ohio car insurance quotes. But which drivers have the worst commutes? NerdWallet looked at 58 places in Cuyahoga, Medina, Lake and Lorain counties and found that North Royalton and Olmsted Falls are the two worst places for commuters. We crunched the numbers and ranked the worst commutes by analyzing two major costs: time and money. 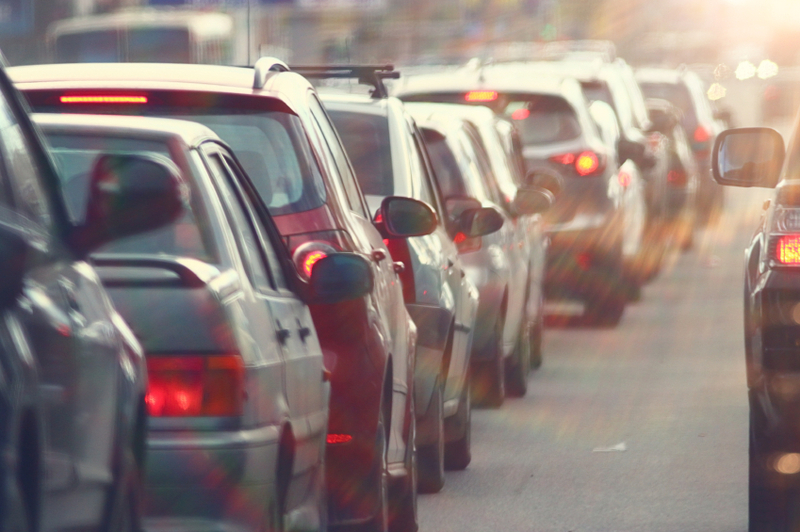 Gas and car insurance costs differ depending on your commute. Commuters in Greater Cleveland can end up paying substantially different prices for car insurance depending on where they live. Those living in Medina, Wadsworth and Brunswick pay the cheapest annual car insurance premium, each with an average cost of $674.04. On the other hand, residents in Cuyahoga County pay the most, with an average annual car insurance premium of $1,035.71. Gas prices also vary by location. Although gas prices have dropped recently, the average price of gas in Greater Cleveland was $3.42 a gallon from January to November 2014. Drivers in Avon paid the least for an average of $3.31 a gallon. However, those in Willoughby, Richmond and Highland Heights paid the most at $3.47 a gallon. 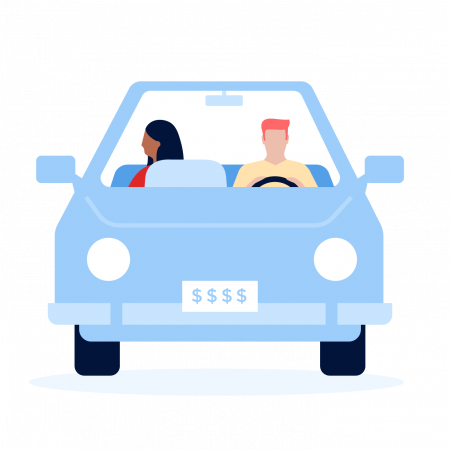 Automotive expenses aren’t the only costs: Long commutes can also have a negative impact on a driver’s health and happiness. Time spent traveling could have been used exercising, relaxing or socializing with family and friends. As well, long commutes have been linked to high blood pressure and poor fitness. Researchers have also found correlations between long commutes and increased stress levels, anxiety and depression. Interested in future NerdWallet studies? Click here to have updates sent to your inbox. How expensive is gas? (15%) We looked at the average gas prices in each ZIP code. How much does insurance cost? (15%) Insurance is costly and premiums can vary depending on where you live. We found average insurance costs by ZIP code to provide an estimate of how much you could be paying. Are there many commuters? (20%) We looked at the percentage of workers who drive alone to work. Higher percentages of commuters driving alone means they will likely face more congestion and longer commutes. Cuyahoga County residents pay more for car insurance. Cuyahoga County residents can pay up to $1,035.71 each year on car insurance. But residents in Medina, Wadsworth and Brunswick pay the cheapest annual car insurance premium, each with an average cost of $674.04. Many commuters in Greater Cleveland drive alone. In the Greater Cleveland area, 83.9% of commuters travel solo compared with the national average of 76.3%. This figure varies depending on location, for example, 50.1% of drivers in Oberlin drive alone, but 94.4% of Kirtland commuters drive alone. The percentage of workers driving to work depends on an area’s walkability and access to public transportation. Easier commutes in larger cities. Cleveland proper didn’t make the top 10 list of worst commutes. In fact, all of the places in the top 10 had populations of less than 50,000 residents. 1. Mean travel time to work from the 2013 U.S. Census Bureau American Community Survey. 2. Percentage of workers commuting alone by car from the 2013 U.S. Census Bureau American Community Survey. 3. Average gas price from January to November 2014 is from Gas Buddy data. 4. Average car insurance rates from NerdWallet’s Car Insurance Comparison Tool. Traffic jam image via iStock.